Did you know that if you are injured in a car accident in Michigan, you are entitled to compensation, even if you are found at fault for the collision? 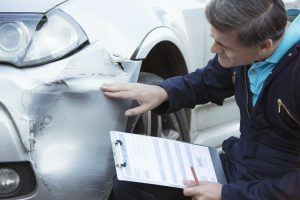 Our experienced Grand Blanc auto accidents lawyers know Michigan’s no-fault auto accident laws inside and out and have proven track records of dealing with insurance companies successfully. The attorneys at Nickola Law will also help you take at-fault drivers to court if you have been seriously injured or a loved one has been killed in a Grand Blanc car accident. We are dedicated to each and every one of our Grand Blanc car accident clients and we take on insurance companies aggressively to obtain the compensation our clients deserve. Call our Grand Blanc office today for a free consultation at (810) 767-5420 or (866) NICKOLA. What Does my Michigan Car Insurance Cover? In Michigan, all motorists are required to carry Personal Liability and Property Damage (PLPD) insurance. The minimum state liability limit requirements for PLPD policies is $20,000 in Michigan. This amount will only cover third party coverage for injuries that are sustained in an accident, but it will not cover any damages that the vehicle sustains. If you want your car covered in the event an accident occurs, you need to purchase additional insurance, called collision or comprehensive insurance so that you do not have to worry about being without a car. Even if you have PLPD insurance, as well as comprehensive auto insurance, you will find that insurance companies are stingy and difficult to negotiate with when you have been injured in a Grand Blanc car accident. Insurance companies are not dedicated to you and your family. On the contrary, they are truly only worried about their company’s bottom line. The attorneys at Nickola Law have dealt with insurance companies for decades and we have the resources to go up against even the largest insurance companies. We will fight for the compensation you deserve while you focus on spending time with your family and recovering. Give us a call so we can discuss your case today (810) 767-5420 or (866) NICKOLA. Don’t settle for the first amount the insurance company offers you! They will typically offer you the least amount possible the first time around and will continue to give you lowball offers. You do not have to deal with the run-around and the games that insurance companies like to play. You have paid your insurance, and when you suffer injuries and damages, you deserve to recover the amount that is required to handle all of your problems. The lawyers at Nickola Law have negotiated the maximum amount for every one of our clients and we will do the same for you. Call us today for a free and confidential consultation: (810) 767-5420 or (866) NICKOLA or contact us online and one of our Grand Blanc car accident lawyers will answer your inquiry as soon as possible.